Backed by a team of skilled professionals in this domain, we are engaged in offering an exclusive collection Mother Of Pearl Tiles. We Enliven your decor with the hint of our creativity through our exclusive Natural Sea Shell Tiles. The offered tiles designed using latest tools under the strict supervision of our experts as per the set international standards. • Size : 12 x 12, 15 x 15, 18 x 18, 24 x 24" inch and any customize size as per requirement. • Utilization : Home decoration, Kitchen, Floor, Bathroom, Hotel, Bungalows etc. 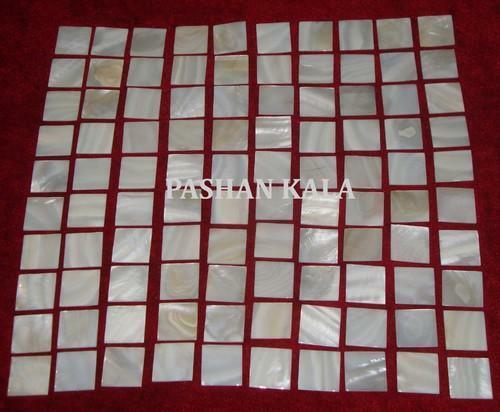 PASHAN KALA have been one among the most reputed name in manufacturing of various Marble Handicrafts, Stone Handicrafts, Marble Inlay Crafts, Stone Inlay Crafts, Marble Inlay Table Tops and Marble Taj Mahal Replica. We are Wholesale traders of custom Corporate Gifts & Promotional items and currently supplying & Exporting, Marble Stone Inlay Box, Marble Inlaid Gift Box, Marble Stone Jewellery Box, Marble Inlay Decorative Plate, Round Marble Stone Plate, Inlay Marble Stone Plate, Marble Stone Inlay Plate, Stone Inlay Plate, Marble Stone Inlay Flower Vase, Marble Inlay Elephant, Marble Inlay Elephant Statue, Elephant Sculptures, Decorative Marble Elephant Sculpture, Marble Inlay Photo Frames, Marble Picture Frame, Marble Picture Frame, Marble Inlay Picture Frame, Stone Inlay Decorative Box Known for its innovative designs and flawless finish, our range is in high demand by our importers spread across the globe. Some of our beguiling range comprises Gem stone Tiles & Slabs, Marble God Statues, Sand stone Garden Furniture like Benches, Statues, Fountain, Pot & Planter, Marble & Wooden Temple, Alabaster Animal Figures & Lamp, Buddha Statues, Wooden, Glass, Brass handicrafts products. With the increasing global demand for our statues, we strive to maintain high standards in our Marble Handicrafts, Stone Handicrafts, Marble Inlay Crafts and Stone Inlay Crafts and keep ourselves updated with the market trends. Moreover, with our ability to design our range in variety of designs, sizes, diverse patterns, color combination and others helps us in meeting the needs of the clients based not only in India but also in USA, Europe and other countries.